This week, we welcome back one of our favorite guests, America’s funniest science writer Mary Roach. 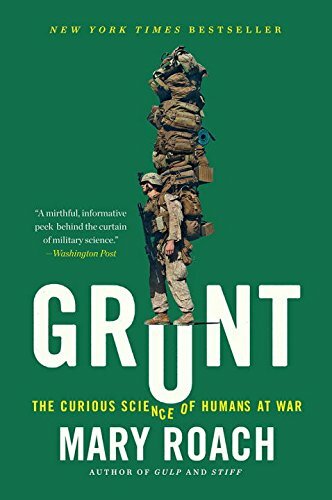 Her latest book, Grunt: A Curious Science of Humans at War, is a rich exploration of the men and women who work behind the scenes to make the lives of soldiers longer, better and more effective. It’s not about the size of their guns or the speed of their missiles but about the everyday annoyances, hazards and traps that soldiers must endure. Indre talks to Mary about the 22-page tome specifying what types of buttons are acceptable in soldier’s attire, what scientists face when working with the military and how soldiers themselves both benefit from and can be harmed by too much information.